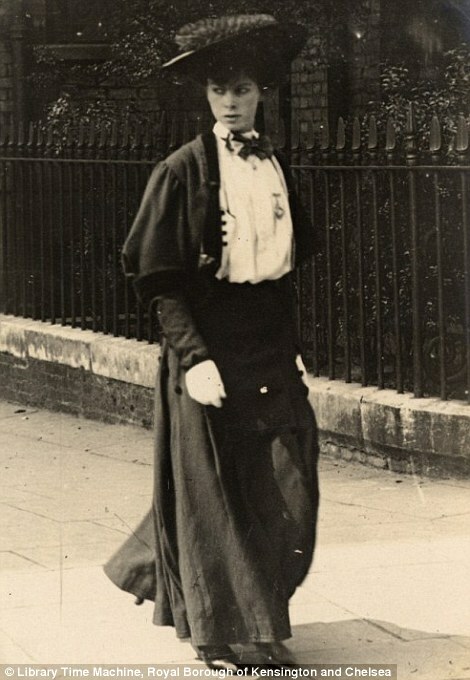 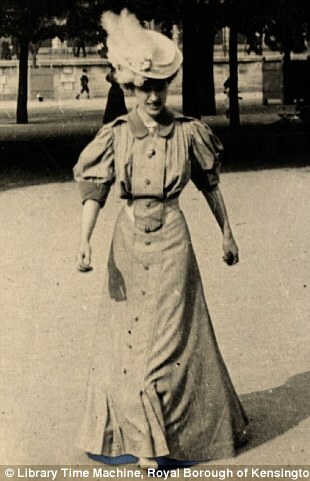 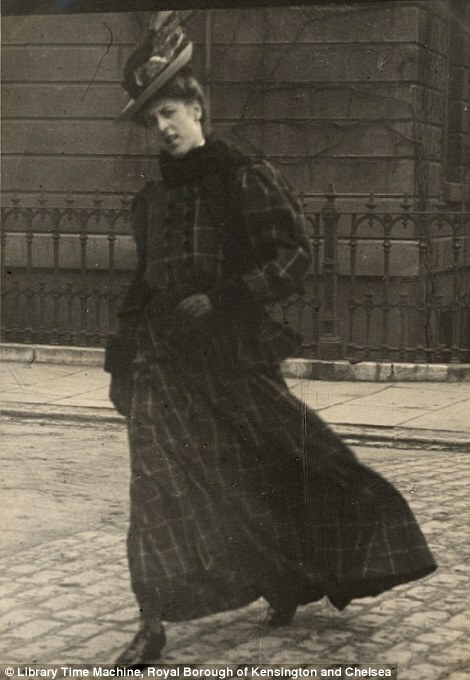 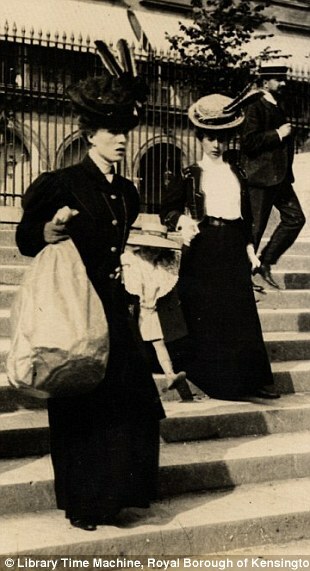 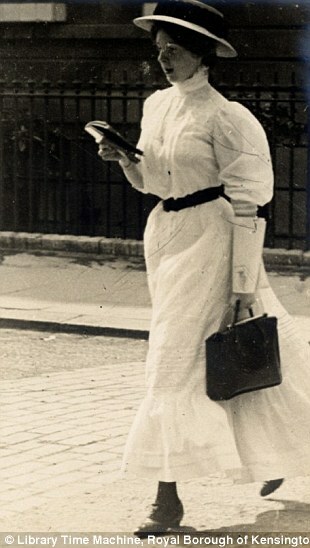 In one image, which was taken in Cromwell Road , South Kensington in July 1906, a woman looks in the direction of the camera as she strolls along the street, dressed in an ankle length plaid skirt, matching jacket and a sophisticated hat. 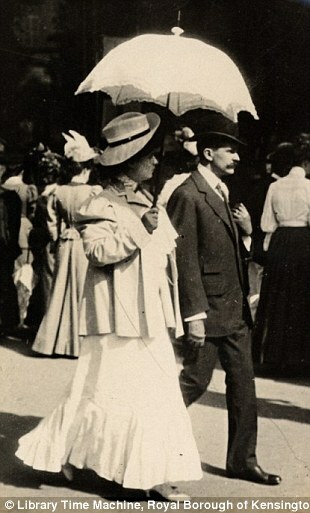 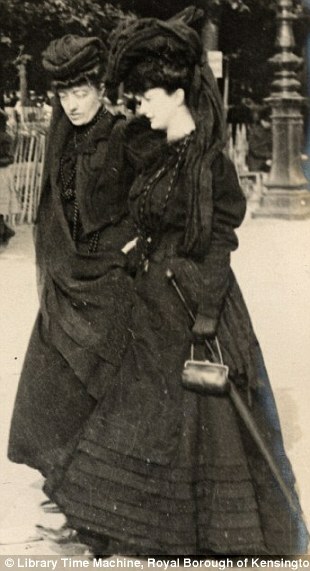 In fact hats seems to be the most popular accessory of the woman pictured , and there is an eclectic mix of straw hats, church hats and veiled hats amongst all of the photographs. 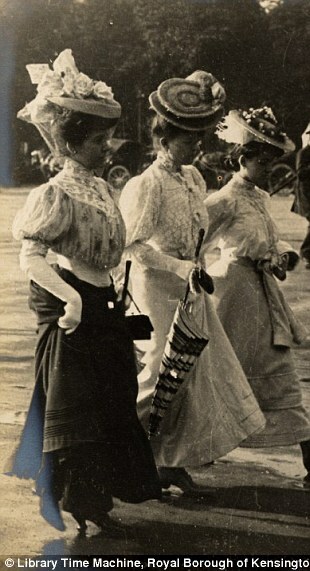 However there is a distinct lack of handbags, with less than half of the unnamed subjects opting to carry what has now become a major staple of modern fashion. 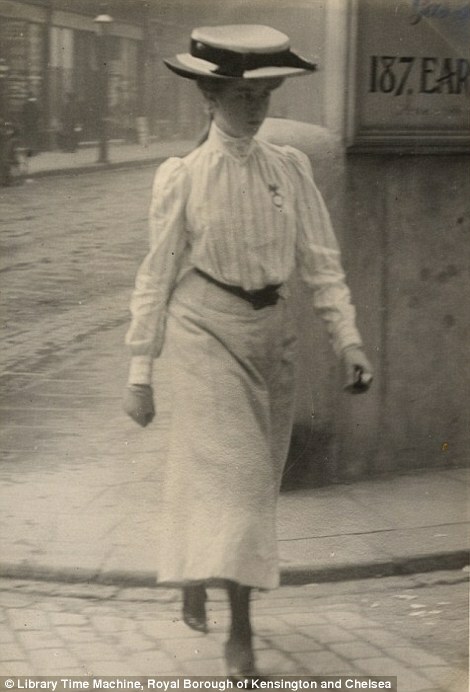 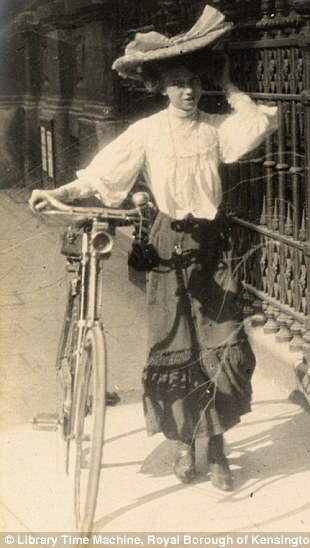 In another image, a woman is seen walking along the pavement in Kensington guiding a cycle with one arm and rearranging her enormous hat with the other. 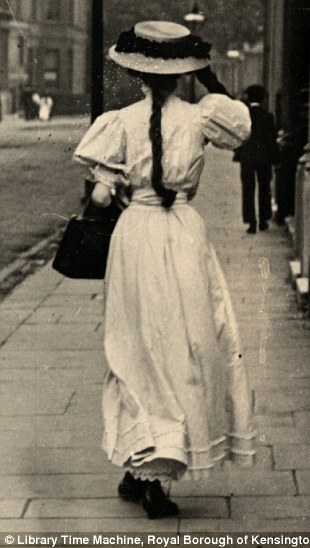 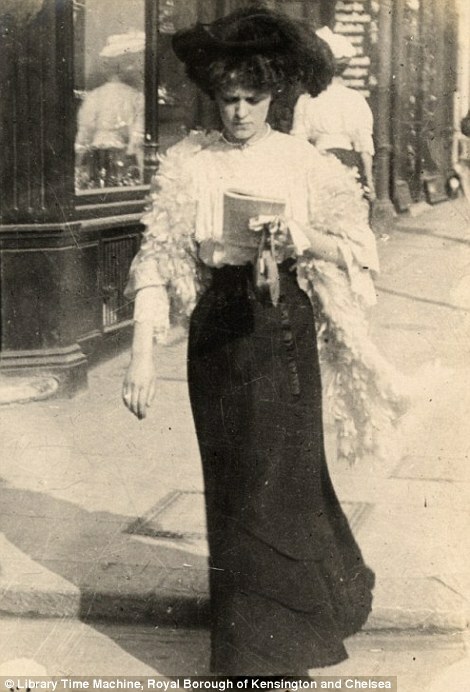 But perhaps the most modern image is of a young woman, who Sambourne describes as a ‘shop girl’, strolling down Kensington Church Street completely engrossed in a book. 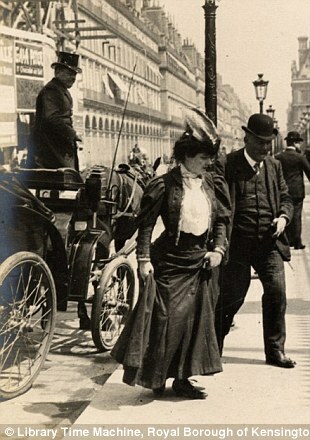 Perhaps unsurprisingly the women of Paris are dressed slightly more stylishly than the Londoners with parasols being a common fixture. 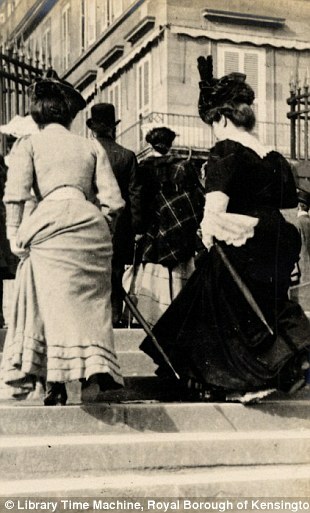 While corsets and long, fitted dresses are undoubtedly the style of choice, there are also some shorter, below the knee styles on display. 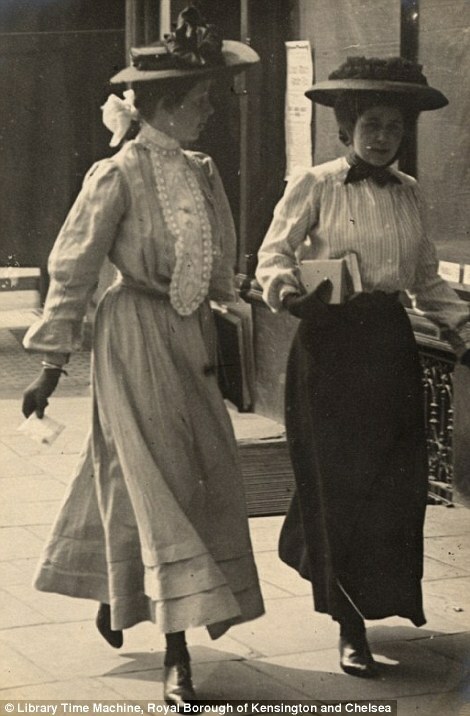 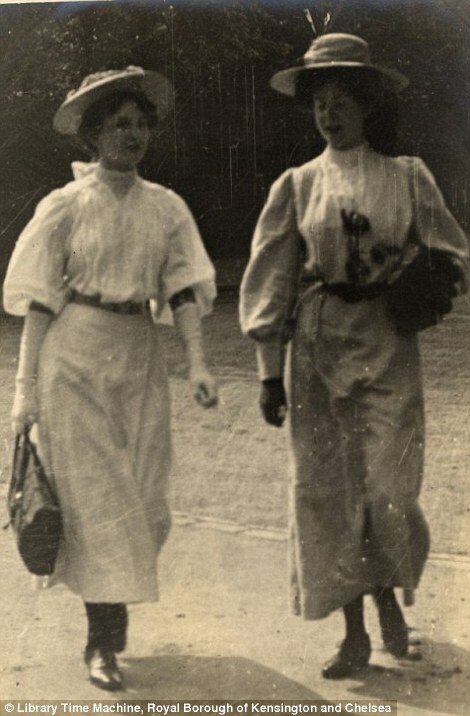 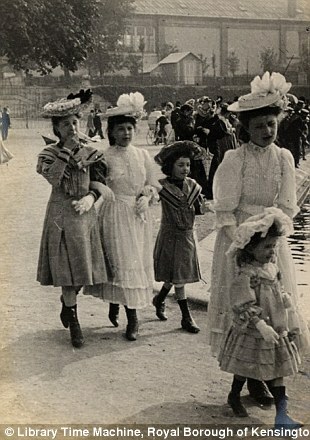 The Parisian images were taken during Sambourne’s trip to the French capital in 1906. 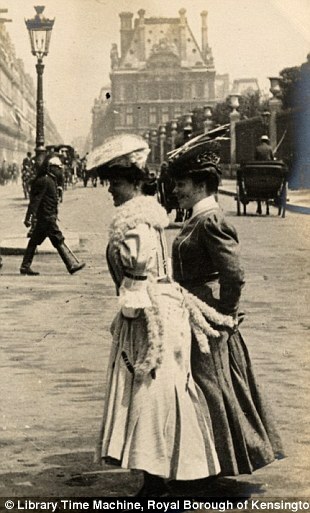 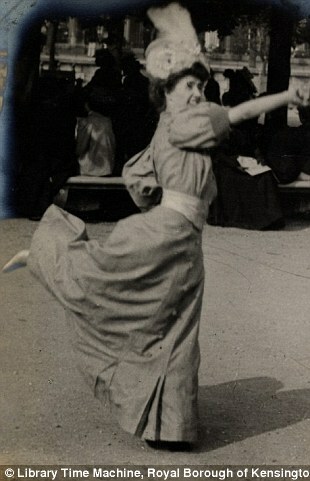 The cartoonist took up photography as an aid to his art and took many fascinating images of Victorian/Edwardian society. 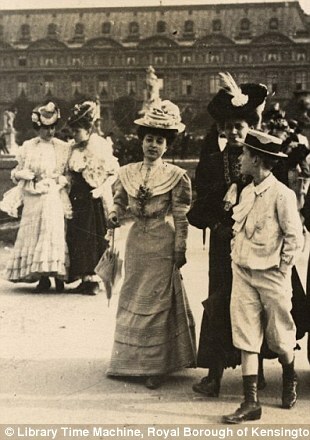 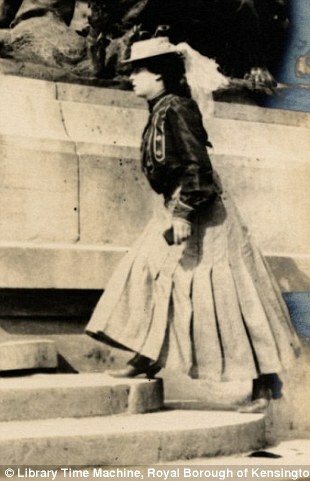 His wife Marion wrote in her diary that photography had become as much an obsession as a hobby.